Oasis continue to recognise and celebrate world religions and cultures during 2018, and at today’s Support Group we celebrated Easter! We spent the morning hunting for Easter Eggs around the building and there were several very pleased children, who managed to find even the best hidden eggs, and put them into their special Easter Baskets! We also had hot cross buns and a delicious home cooked apple pie. The Support Group room looked lovely and bright, as we were able to decorate a table centrepiece with decorative eggs. 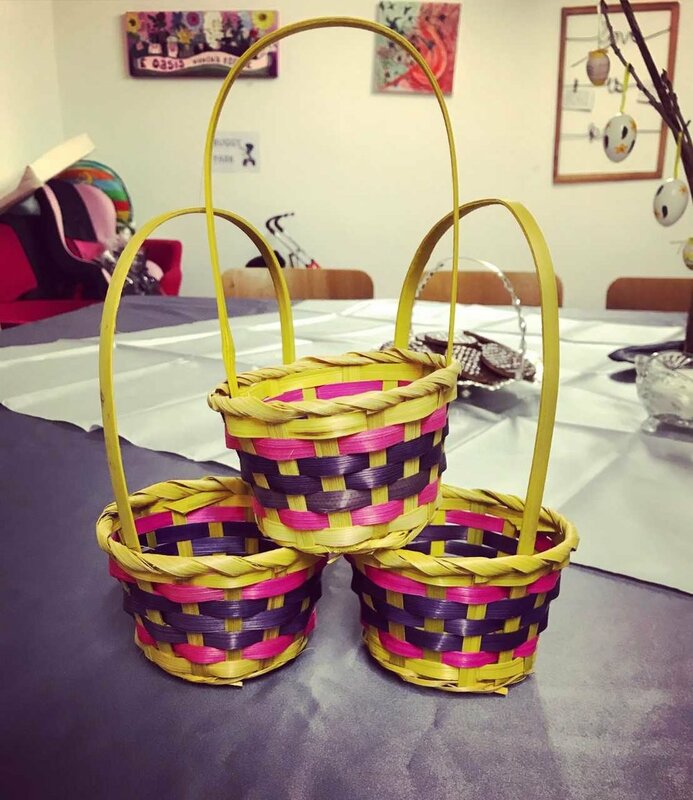 The women and children really enjoyed themselves and the event gave us the opportunity to pause and reflect on the symbolism of the Easter festival.